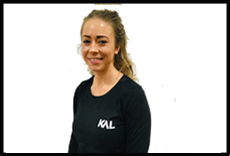 Becky Greenwood specialises in female fitness coaching – allowing all females to have a comfortable yet empowering fitness journey; which will lead to achieving long term health and fitness goals. She has a high knowledge on some of the best fat loss and body transformation methods used in the industry and is educated in nutrition performance and learnt from one of the best coaches in the industry. She will bend over backwards to ensure each of her clients are making progress whilst enjoying the journey and feeling empowered. Becky wants to educate you with the correct knowledge so that eventually you will feel confident enough, and have the correct skills to carry on your own journey without any one else’s support. "Don't limit your challenges, challenge your limits" - JSH Fitness. I have a huge passion for health and fitness which has grown from my own training and education. After studying Sport and Physical Activity at University my focus became wanting to help others increase their own knowledge and reach the goals that they want to achieve by overcoming the barriers they face. Fat/weight loss, strength training, Endurance training, healthy life style improvements, nutritional advice. Sarah entered the fitness industry because she truly understands the importance of creating a healthy body and mind to lead an awesome life, and she has always had a genuine desire to help people get results. With a B.Sc in Psychology combined with her Personal Training and Nutrition qualifications, Sarah takes a holistic approach with her clients. She believes that along with a healthy, functioning body - you need a strong mindset to reach your goals and live the best life possible. Knowing that we are all unique, Sarah makes it her mission to find a method that works for you to make sure your training is enjoyable and your results are sustainable. So whether you're looking to lose body fat, get stronger or boost self-confidence, Sarah is the girl for you. 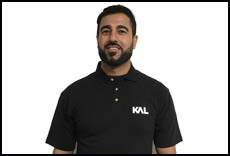 Dilshad has over 12 years’ experience in the fitness industry, and has worked with all age groups, and abilities. Dilshad creates personalised programming for each and every client, to ensure they get to their goals. Nick specialises in female body transformations. 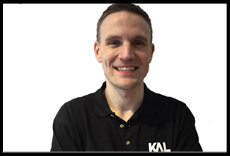 His 10 years’ experience in the British Army, alongside his passion and enthusiasm for training and coaching allow him to get exceptional results for his clients. Emma is passionate about helping people to be the best that they can be in all aspects of life. Using her wealth of knowledge and experience from her degree and years of experience in the fitness industry, Emma creates personal training sessions that are fun, motivating and educational. Emma will work with you to set realistic and achievable goals allowing you to continually progress whatever your aim may be. Emma has a vast range of experience working with clients from all walks of life and is willing to help anyone that is willing to help themselves. Emma's experience in GP referral schemes gives her the ability to support people with health conditions, tailoring sessions and plans to meet the specific needs of each individual. Emma's friendly and personable approach will help you to feel both comfortable and confident in the gym, even if you have little gym experience. She aims to provide continual support both in and out of the gym whilst pushing you to be the best you can be in every session. Get in touch and start your path to a healthier lifestyle today! 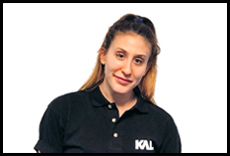 With over four years’ experience in the health & fitness industry Danielle can help you achieve your fitness goals with a combination of exercise and nutrition. Danielle’s results driven and enjoyable sessions will give you the motivation and inspiration you need for your fitness journey. 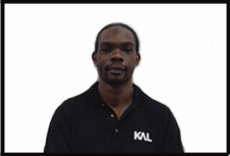 Steven is a dedicated and passionate trainer, who wants to educate people on ways to live a healthy lifestyle. He is qualified to a high standard in managing obesity and diabetes, and specialises in fat loss, nutrition and body transformations. When Steven’s clients are not training with him in the gym, they are following his “Body Plan” which is a nutrition and exercise programme designed for the time inbetween sessions. “The Body Plan” focuses on making step by step small lifestyle changes which will ultimately lead to big changes in regards to body shape, health and overall wellbeing. He loves, lives and breathes fitness, and behind his super friendly and gentle disposition, lurks an inspired individual with a burning passion to help his clients succeed. Steven’s ultimate goal is to make the sessions fun and enjoyable. Contact Steven to discuss how he can help you become healthier, slimmer and fitter in 2018. Level 4 Managing Obesity, Diabetes & Nutrition. Fat loss, Nutrition, Body Transformation, Healthy Life Style Improvements & Overall Wellbeing. Jan believes passionately that working out should be enjoyable, empowering and rewarding. She loves helping people achieve their fitness goals and seeing improvements in the health, self confidence, well being and happiness of those she trains. Her main aim is a happy, healthy client. 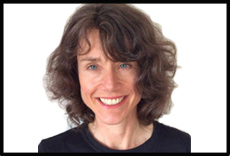 Working with Jan is not just about working out or following an exercise programme. Jan is a genuine gym buddy, she’ll help you to feel happy and confident in the gym, providing knowledge, support, motivation and inspiration. She will help you define and refine your aims into achievable goals, teach you how to set and smash those goals and design workout sessions designed specifically to meet your fitness goals, your exercise preferences and your fitness level so that you can achieve exactly what you want efficiently, effectively and safely. 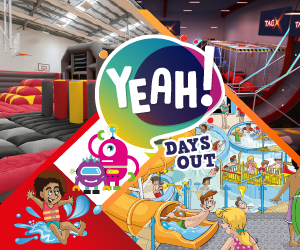 Take part in fun, varied and challenging workouts, where you are pushed to achieve your full potential. Look great, feel amazing, experience a sense of achievement and improved self-confidence. 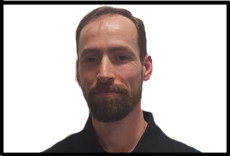 With his background in injury prevention and rehabilitation, Andy is focussed on delivering individually-tailored exercise programmes and sound nutritional advice that is safe, effective and most importantly, enjoyable! If you have health and fitness goals to work towards, Andy will guide you on your journey to a healthier lifestyle. He achieves this by sharing his specialist knowledge and great attitude with you to make sure that you achieve your goals. What are you waiting for? 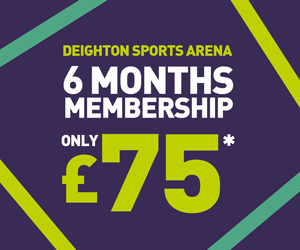 Book in now! 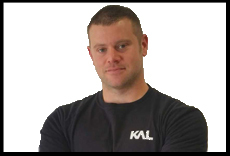 Andy specialises in functional movement training, ensuring that you achieve your goals whilst protecting and injury-proofing your body for the years to come. He also provides massage therapy to encourage recovery between training sessions. Brendan’s passion is your progress. As a PT, Brendan is there for you 24/7 – whether you are looking to get fitter, stronger, faster, training for competition or have simply lost your way and need that added motivation to become the best version of you. 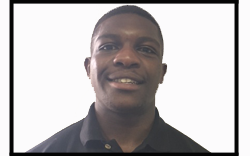 He has been actively engaged in both sport and physical activity since an early age, playing at a high level in football, rugby, cricket and athletics. His natural passion for sport led Brendan to complete a degree in Sport and Exercise Science. His own degree coupled with working with top level strength and conditioning coaches has provided Brendan with both the theory and practical application to support his own training and understanding of the human body, its training systems and how they support health and performance. Following his degree Brendan embarked on a different career and began to gain weight and suffer health related medical conditions. He decided to make a change and lost 6 stone in weight through working with a PT and also making a number of lifestyle changes. Brendan decided to make a career change and work as both a Personal Trainer and Group exercise instructor. His previous battles in terms of health and physical activity make Brendan well placed to understand what many clients go through daily, enabling Brendan to effectively support their goals, performance and lifestyle changes. 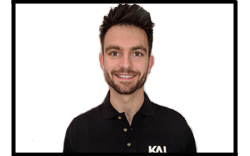 Brendan has a real passion as a PT and strives for excellence in his career; to keep learning and developing his knowledge to further support his clients to achieve and exceed their goals. 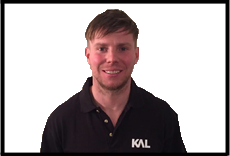 He will support clients to make the necessary lifestyle changes to improve overall health, performance and self-confidence through exciting and challenging sessions. 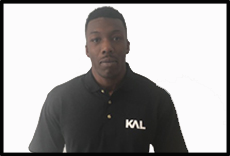 Bsc (Hons) Sport and Exercise Science, Level 3 Personal Trainer, Level 2 gym instructor, Boxercise instructor, Les Mills GRIT coach and Body Pump instructor, Indoor cycling instructor, Circuits & boot camps. Conditioning; toning and weight loss, strength training, High Intensity Interval Training (HIIT), functional training, circuits and boot camps, nutritional strategies for weight loss and muscle gain, sports specific training and group training sessions. Having been on her own fitness journey, Polly is familiar with the ups and downs of training, and how hard it can be to stay committed. Polly lost a significant amount of weight through exercise and proper nutrition which has helped her understand the struggles both physically and mentally that everybody goes through in maintaining a healthy lifestyle, and also the importance of being active and looking after yourself. Polly’s new outlook on exercise has made her want to help others achieve what she has, and see training in a new light. 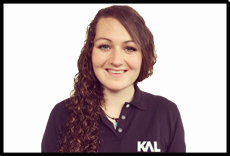 As an approachable Personal Trainer who really is here to help you, Polly can tailor your programme to suit your goals and help you not only achieve them, but smash them! "The real work out starts when you want to stop"
It is Ian's passion to see what a massive difference an exercise can do for all his clients. Whether it's a physical improvement or mental one, exercise can go a long way making for a better, healthier lifestyle. Book your free consulattion with Ian today! Having grown up being a very active person, playing football, rugby and even athletics and boxing, Ian is no stranger to exercise. He has an enthusiastic, charismatic approach when it comes to fitness and believes that fitness should be an outlet for self confidence and and personal satisfaction. Setting realistic targets for every client he trains and seeing the smiles at the regular weigh-in and consultation sessions. 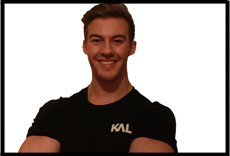 Training with Ian, he will be there to deliver tailor made plans specific for each client, provide his knowledge in diet and with hard work in sessions and out, those results will be getting smashed and Ian will be happy to see those smiles. 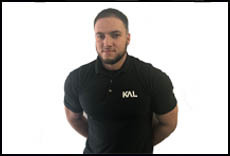 With Ian's experience, he will be able to help any individual seeking to lose weight, increase muscle mass, increase lean muscle or even training for an event. Ian can help you get your results. With some experience with injuries and rehabilitation. If you're not confident on the gym floor, Ian will always be happy to answer any questions and point you in the right direction! I strive to help you achieve your results, and provide an excellent fitness experience. Teaching you as much knowledge in and outside the gym, from day one to help you control your body. On a weekly basis we reflect on our targets and see how far or close we are and what needs to change to get you there. To accomplish new goals, we have to understand old ways don't open new doors; Challenges do! 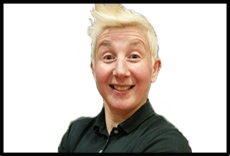 Chanelle wants to help you to progress, develop, realise goals and transition from short term milestones to long term accomplishments, and will monitor your progression throughout. 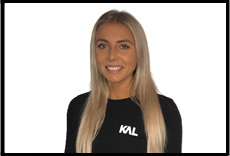 The TRX, Viprs, weights and SkillMill are just a few pieces of equipment which Chanelle uses to give her clients a great workout, in a fun and challenging environment, providing guidance and support along the way. 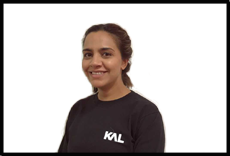 As well as years of experience working 1-1 with a wide variety of clients, Chanelle is also qualified in pre and post-natal fitness, Powerhoop and GP referral. Chanelle knows how much of 'a feel good factor' you get from achieving goals, and she would love to help you gain that fantastic sense of achievement further aiding you to understand the importance of health and wellbeing. Start your journey today and see how much greater you can be. 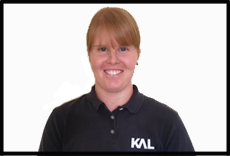 Chanelle also specialises in pre/post natal and GP referral holding (Active IQ level 3 award in Designing Pre and Post Natal exercise programs (QCF) and Active IQ level 3 Diploma in Exercise Referral (QCF). Ideal for women who are unsure of what they can / cannot do in the stages of pregnancy or post pregnancy, and with health conditions. Heather enjoys running and outdoor activities and has a passion for functional and bodyweight training as a way of keeping toned and strong. Heather has a physiotherapy background and regularly helps people with joint issues to achieve their goals, be they modest or even to the point of taking part in elite obstacle courses! - Improving cardio vascular fitness, toning and functional fitness - Joint and back protection during training - Assistance with weight loss. I have worked in the fitness industry for over 8 years. I specialise in weight loss, muscle building and muscle endurance. I also teach fitness classes such as Mixed Martial Arts Conditioning, Studio Cycling, Functional Circuit, Kettlebells and Abs Blast. It is my passion to help keep people fit and healthy and to motivate them to reach their goals, whatever they may be. I have had experience in the Armed Forces and the Territorial Army and it has inspired my passion of working in the health and fitness industry. If you’re seeking a positive change in your life, look no further. Through using my 5 step proven and guaranteed method, no goal or aspiration is too far. If you have the ‘want’ to get fitter, you have the ability to succeed. Exercise and nutrition planning, creating a game-plan and providing accountability with a great support system is what I do. If you want it enough, we will achieve it together. Get in touch if you would like more information about how my system works and how we can work together towards your success. I show people how to be them selves in a world that is trying to make you someone else. 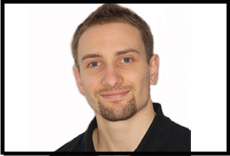 I am a high calibre professional with over 10 years of experience in all aspects of the Health and Fitness industry. I thrive working on challenges, goals and I am results oriented. I am flexible in my approach to help you make positive lifestyle changes and achieve you’re goals. Jo has been playing football and football coaching for 18 years so fitness has been her way of life. She is an avid fitness fanatic and therefore it was a natural progression into the field of personal training. By treating each client differently, she believes all health and fitness goals can be reached through hard, smart training, commitment and a little bit of determination. Since starting her personal training business in 2011, she has focused on intense training programs that are rich in variety, challenging muscles and cardiovascular systems. Whilst focusing on the mind/body connection for all ages and physical abilities, clients have been pushed past what they thought were their physical limits. My results speak for themselves. My clients receive personalised training which is tailored to meet their individual needs. It’s this simple. We work hard together. We sort out your lifestyle and training; we make a plan and stick to it. Weekly monitoring of your progress ensures we get you where you want to be and get you smashing your fitness goals. Functional training is key and that’s the basis for my fitness programmes basically because it works. Contact me today if you want to start seeing progress and finally achieve your fitness goals. Having gained a vast amount of fitness and training knowledge from being in the industry for a number of years, Jordan can offer you help and in-depth knowledge which will assist you to achieve your goals. 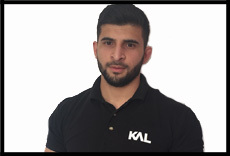 Undergoing multiple training courses and constantly researching, he believes his methods of training will get you the results you want in the quickest, safest way possible. If you’re struggling to lose weight, lack motivation, wish to tone your body or simply want to improve your personal fitness then Joanne is the Personal Trainer for you. 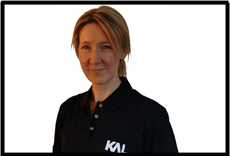 Joanne is a very experienced PT who will motivate and encourage you on your journey to a fitter, healthier lifestyle. 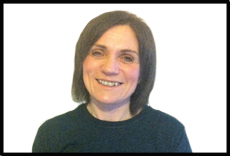 Joanne will provide you with a tailored advanced workout plan and guide you to achieve a healthier eating schedule. She will go the extra mile assisting you to achieve your personal goals and support you all the way in your journey. 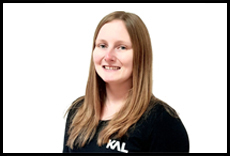 In addition to personal training qualifications Joanne is also a qualified instructor in the following: Boxercise, kettle bell, Olympic lifting, power plate, TRX, Vipr, Functional loading, primal flow, Sandbell and Circuits. 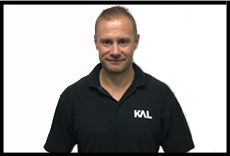 With over 27 years in the fitness industry, you won't find a more experienced and dedicated Personal Trainer. Joanne was a competitive Bodybuilder in 1990 and played competitive football for Huddersfield ladies and the north east of England. Jo has competed in several military-style obstacle races and countless 10k charity races. If you are looking for a personal trainer who will make coming to the gym fun and exciting with a tailored plan and nutritional guidance then look no further. Dexter will ensure whatever your aims and goals are, together you will achieve them. 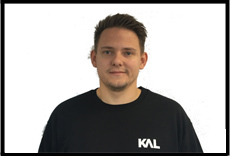 With over 10 years’ experience in the fitness industry, working with a varied and complex client group Dexter is able to adapt sessions for a wide range of client requirements. Whether it be weight loss goals, toning, strength or training for major events he has a proven record of empowering clients to achieve their goals and excel. Dexter has also coached and supported customers and clients who have physical difficulties. 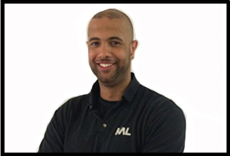 Leigh Miller is an experienced Personal Trainer with a real passion for your results. Leigh 100% dedicated to helping you achieve your GOALS. My motivation comes wanting to share my enthusiasm for fitness, health and nutrition with individuals who want to better themselves; both physically and mentally. Many of you reading this have seen my fitness journey first hand. For those who have not I was once struggled with my weight. I have been in positions of being both overweight and underweight. It is with clear planning and education I managed to reach a happy medium and improve my physical fitness. Knowledge I would feel honoured to share with you. Sarah is very passionate and committed to her personal training business. She helps her clients progress in the gym and motivates them all the way through their fitness journey. Sarah personally enjoys running and bodyweight exercises, which helped her to loose 6 stone, and feels healthier and stronger in herself. 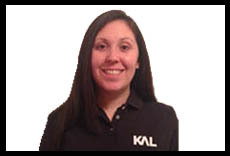 She is dedicated to help clients achieve their own personal goals, from beginners to advanced. * Level 2 Diploma on Fitness Instructing * Level 3 Diploma in Personal Training, Level 2 Award in instructing Kettlebells, Registered Boxercise Instructor.